Mornin', y'all! This is our last full week in this house before we move; I'll probably post some scrapbook layouts once we're all packed up but obviously I won't be making any new cards for a while. So of course this week I had to use the last big character stamp from Magical Day. You know our shiny new iMac that we got less than a month ago? It's broken. This time it's not Ryan's fault either, it was doing this thing where it would randomly restart itself every night around 3 a.m. Then it began doing it more often, like 2-3 times a day. When the hubs tried to shut it down to take it in to the Apple store, it was caught in a loop of shutting itself down and restarting--I think he finally had to unplug it. They've had it since last Thursday and still can't figure out what's wrong with it. All that to say, I'm blogging from the hubs' laptop, and I haven't figured out the photo editing program here and so the colors look a bit off in that picture but what can you do. So, the wizard! I colored him in with watercolor pencils and his robes shade a bit from Melon Mambo to Rich Razzleberry but it doesn't show up as well as I'd like. I stamped his little magic sparkles with Rich Razzleberry and then gave 'em a swipe with Wink of Stella to make them look more...magical. That looked just like the color palette in the Painted with Love DSP, so that's what I used for my background layer. (Ironically I chose one of the patterns that's just one color and no gold!) I used Powder Pink, Melon Mambo, Rich Razzleberry, and Shimmery White for my colors. Well, I guess it's about time for Ryan and me to head to the gym. Cheers, y'all! Background is fabulous. I love this wizard, I have been seeing him around...too cute! 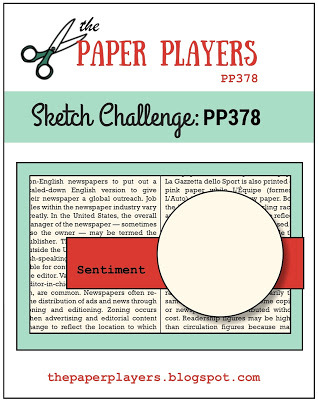 Thanks so much for joining The Paper Players this week! Ah ha - I love this pink wizard with his razzleberry touches - I adore this suite, too - how fun he looks against a purple "brick wall," lol. Thanks so much for sharing at Sunday Stamps! Whoa! Pretty in pink! Pretty sure Gandalf was never a pink wizard but he'd have looked good if he had been - just like this fellow. I like the brick wall in behind him too. 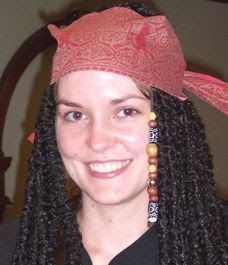 Thanks for playing with us at The Paper Players this week, Christy. Computer issues and a move around the corner, I don't know how you made time for a card, Christy! So glad you did.. it is adorable, and your blog header cracks me up. 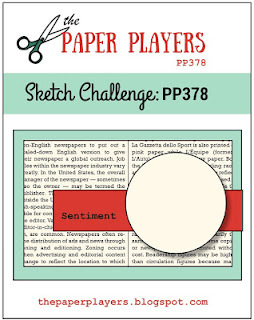 Thanks so much for playing along with us at The Paper Players! What a fun magical card dressed in pink! The brick side of the DSP looks great with Mr. Wizard. 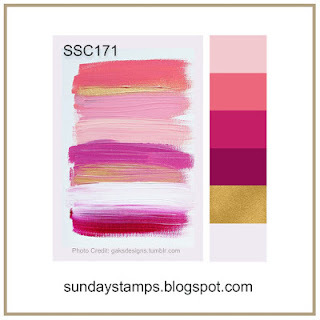 :) Thanks so much for joining the color challenge at Sunday Stamps! Good luck with your move! Such a fun card! That paper was definitely perfect for these colors!